When I found out a baby panda had been born at the National Zoo, I wanted to see him as soon as he was available. Unfortunately, the tickets to see him sold out right away. Now, nine months later, the tickets are largely an unnecessary formality. 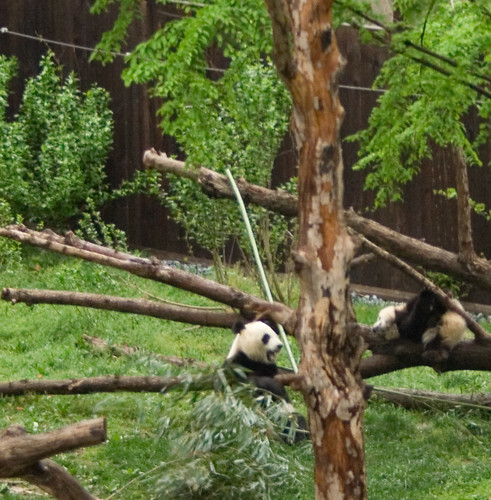 However, I didn’t know that when Danielle and I woke up at 5 am last Sunday to get a glimpse of Tai Shan. I had read that before 0830 tickets were not necessary to see the Giant Pandas, so I got all my gear ready on Saturday night and set my alarm for 0500. 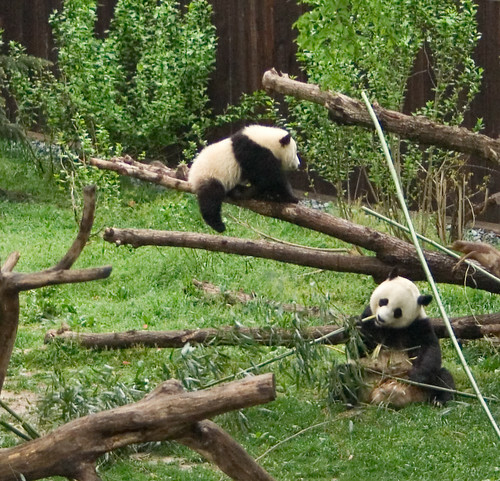 Then we went to go see Tai Shan. I found a group of photographers who all visit at least once a week (some every other day) to see what antics little Tai Shan was up to. 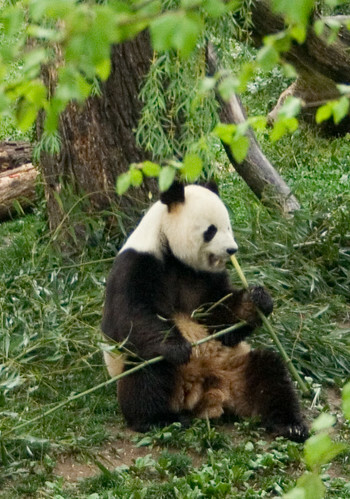 He’s currently weaning, so he’s learned that bamboo goes in his mouth, but he still doesn’t eat it as voraciously as his parents. I had no idea I would find him so amusing! I ended up taken nearly 150 pictures of him. In raw mode, that cost me nearly 1.5 GB of space! Below are some of my favorite pictures from that day and I’ll be adding more soon. Tian Tian, Tai Shan’s dad, who was always napping or eating.